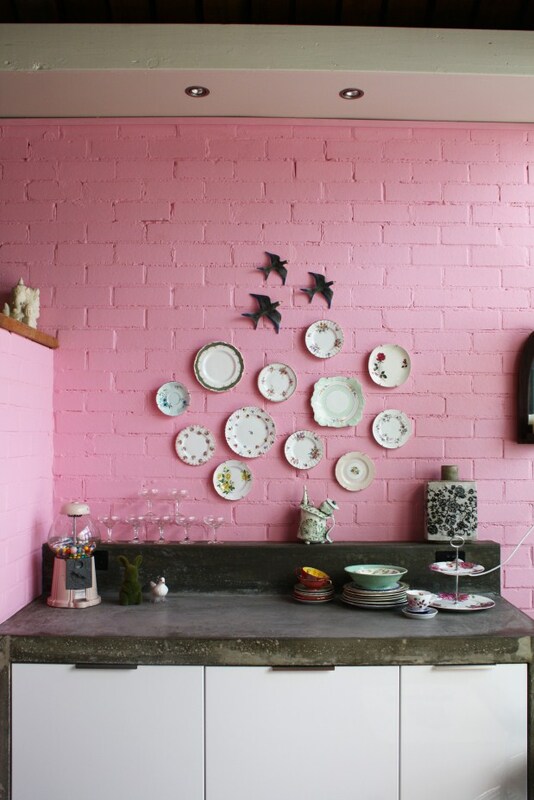 One blogger I have come across in the past year is South Australia-based Helen Edwards, who writes the lovely Recycled Interiors. One of the things I like most about Helen is that she has bucketloads of endless energy, which guilts me off Pinterest and into picking up a paintbrush. She is a full-time interiors blogger, social worker, diabetes educator, runs a national diabetes charity, has three kids, studies interior design and has also just launched an online shop selling vintage finds. Another thing I like about Helen is that she is hugely into sustainability, recycling and reducing landfill – especially when it comes to our homes. She goes crazy over all things old and vintage. Vintage lights, a New York flea market find, hang above the kitchen of Etica Studio Carla Karsakis' home (see the full tour here). 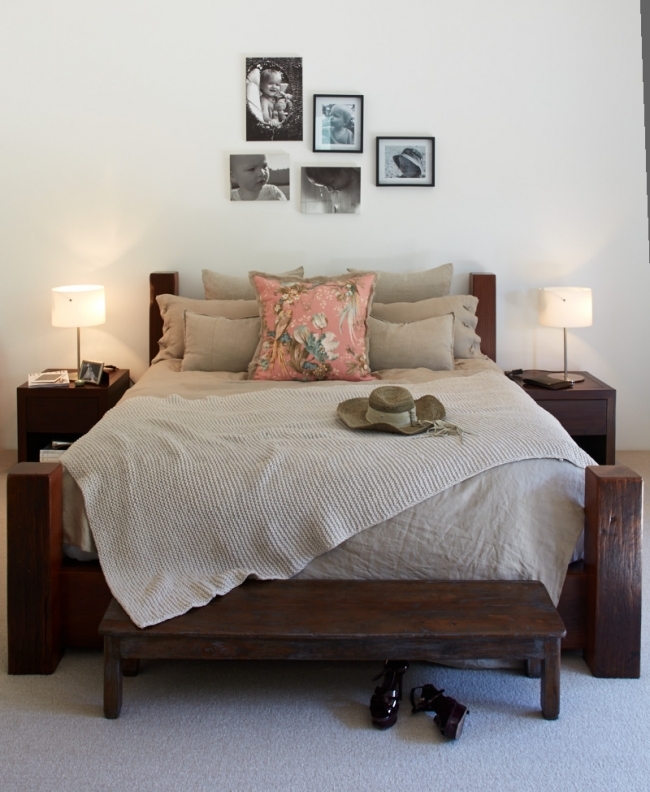 Styling and photography by Meghan Plowman of The Orchard. House Nerd: Tell us a bit about yourself. What are you most passionate about? Helen: So many things! I am a passionate advocate for sharing resources, saving our precious planet, world peace and human rights. Planet, People, Home (which is my tagline for Recycled Interiors) and caring for all of these things is the most important thing to me. Our world is amazing and we should really be standing up and doing our utmost to be sure we keep it secure for future generations.I am just a little bit hippie and a little bit crazy! But I am not too fussed any more about what people think of me and stand up for what I believe in. 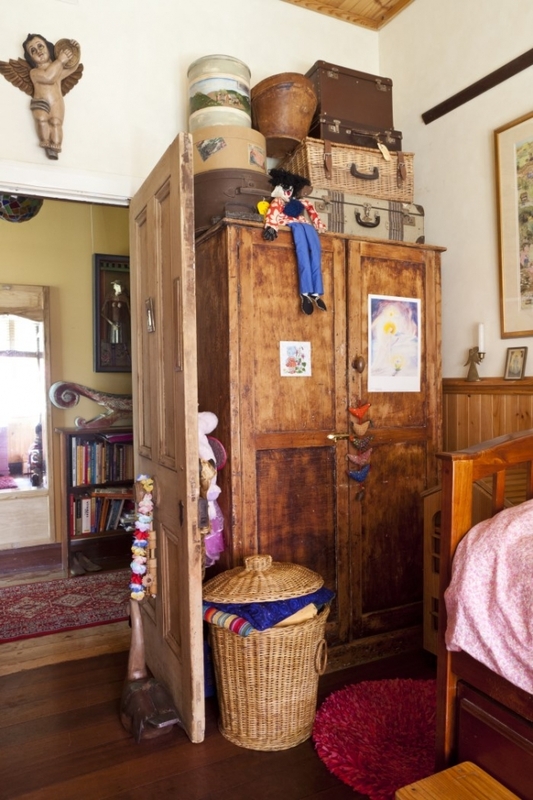 Vintage suitcases, found on the side of the road, offer storage in this little girl's bedroom. Photo by Heather Robbins of Red Images Fine Photography. 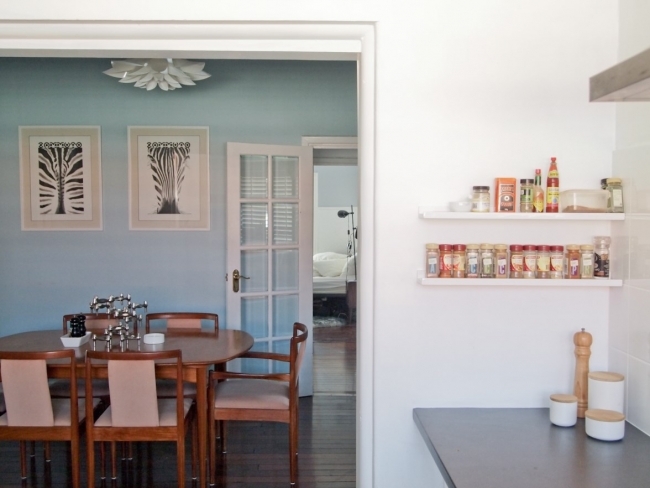 House Nerd: You are big on recycling and re-using vintage things for the home. What does this stem from? Bentwood chairs teamed with an antique dining table and a modern David Bromley painting in the home of Vanessa Fordham and Karl Cramond, the founders of luxury events hire business Villa Kula. Photo by Meghan Plowman of The Orchard. House Nerd: What do you think there is to love about buying (or finding!) vintage for the home? 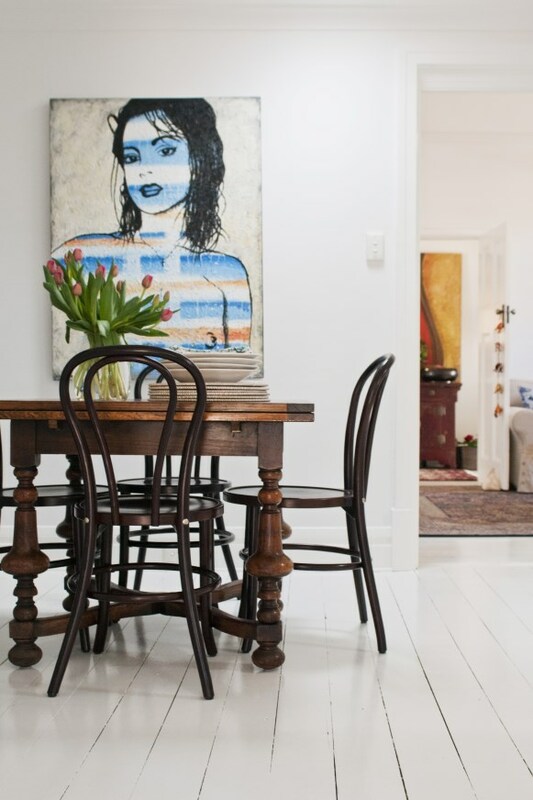 Of course, I can't do a post on vintage decorating without mentioning the stunning home of Carla Karsakis of Etica Studio, full of vintage and thrifted finds - and although it looks like it could be a 1920s converted shopfront it's actually a new house. 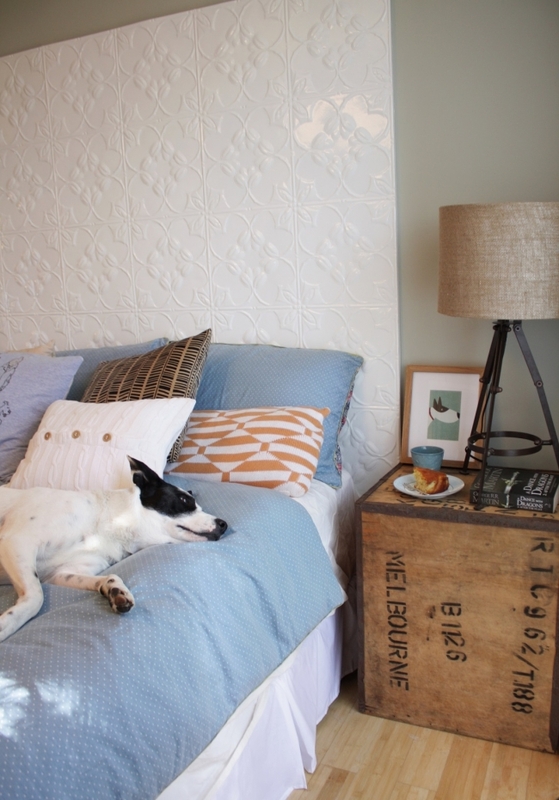 Styling and photography by Meghan Plowman of The Orchard. House Nerd: What is your own home like? 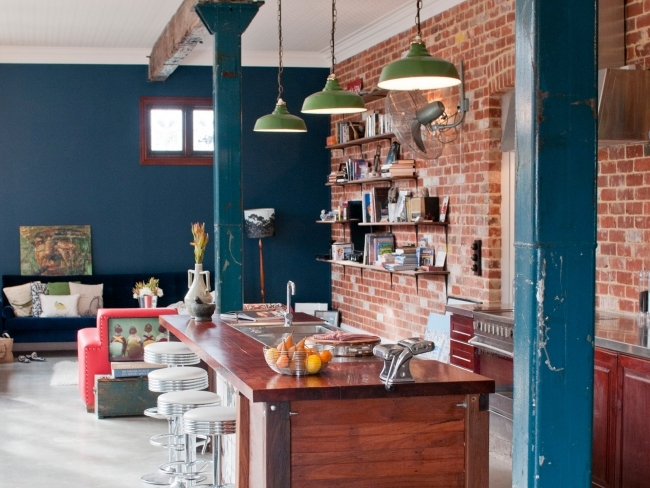 House Nerd: What is your blog Recycled Interiors about? When did you start blogging about vintage? 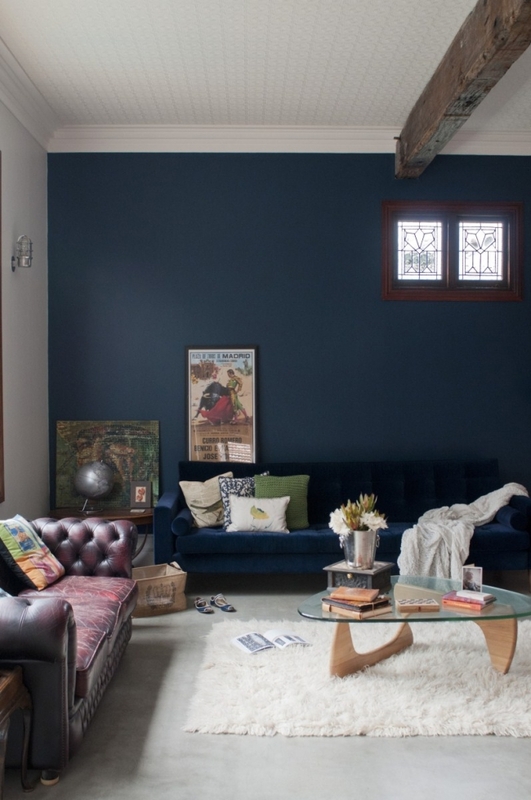 House Nerd: How does adding a bit of vintage help a room scheme? 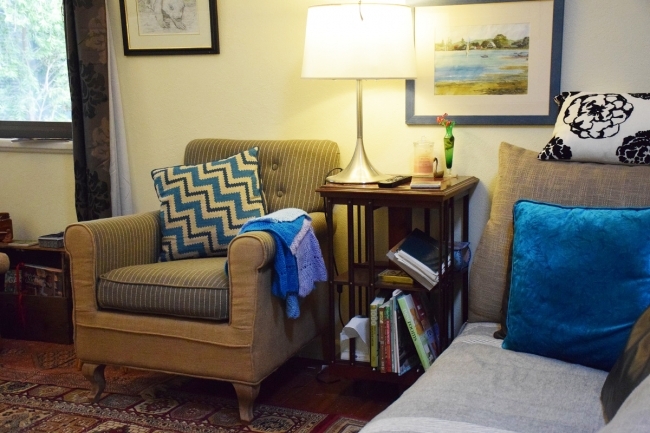 What do you most love about putting old things into a home? House Nerd: Why do you think vintage has become such a huge trend recently? House Nerd: I feel like there were periods in history when paying a lot for something, as opposed to a little, was the trend – a mark of wealth or success. 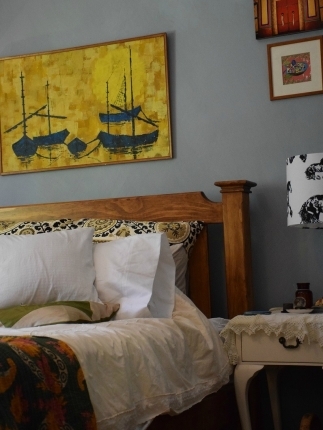 But these days, many of us are embracing the fact that something might have actually cost very little from a vintage market or op shop, was upcycled, or was a sentimental hand-me-down from our grandma. Why do think this is? Why are we embracing – and being proud of - the affordable in our homes? 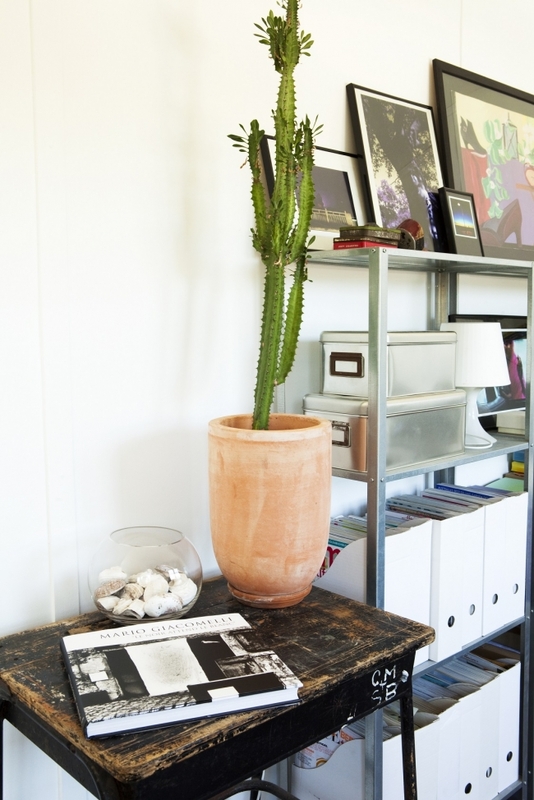 A vintage school desk (I love how it has initials on it) sits next to a new bookcase in the former study of interior designer Nelly Reffet of Twinkle and Whistle (home tour here). Photo by Heather Robbins of Red Images Fine Photography. House Nerd: What are your personal favourite vintage items that you own?